Premier Gladys Berejiklian’s Coalition government in NSW is under increasing fire over its arts policy following the latest hearing by the Upper House Inquiry into Museums and Galleries. 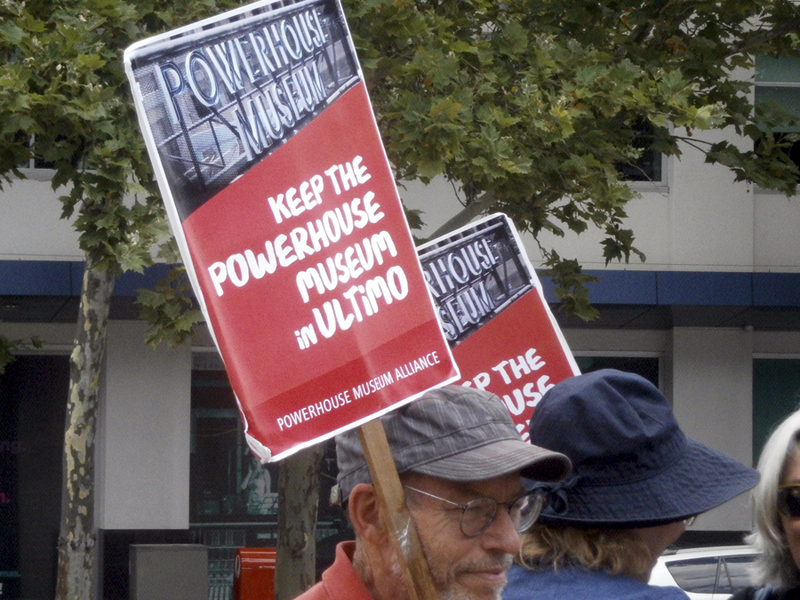 The public inquiry, which has again postponed its reporting date (now it’s November 30), is finding a lot that doesn’t add up in the vandalising of the Powerhouse Museum which the government wants to move from Ultimo to Parramatta. The main witnesses giving evidence at the August 29 session were Arts Minister Don Harwin, appointed in January this year after 18 years in the Legislative Council, and Parramatta Council administrator Amanda Chadwick, appointed in May 2016 by the State government when the former Council was dissolved under then Premier Mike Baird’s council amalgamation plan. 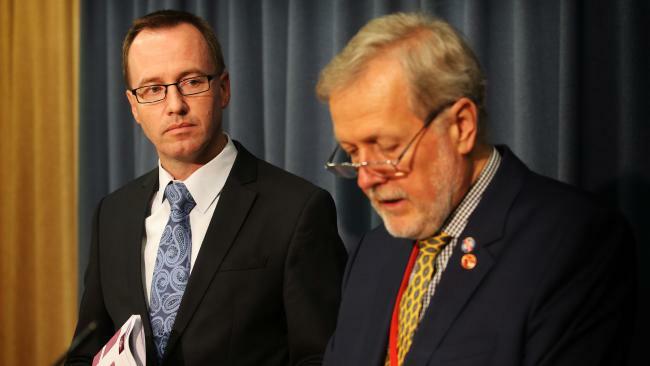 They faced pointed questioning, particularly from inquiry committee chair Robert Borsak (Shooters and Fishers), David Shoebridge (Greens) and – clearly scenting some disarray over cultural policy in Coalition ranks – Labor’s Walt Secord. I was able to attend the 90-minute open session, and found myself in a packed public gallery surrounded by concerned citizens including some of the state’s finest museum professionals, benefactors, members of the Powerhouse Museum Alliance and of the North Parramatta Residents Action Group. Scrutiny of the hearing was intense. It revealed, among other things, that the entire deal between the State government and the Council had been done while the Council was under direct administration by the government. Welcome to democracy NSW style! Heads of agreement or done deal? The “heads of agreement” signed on July 28 this year between the State government and Parramatta Council (in administration) involved the sale of the old DJ’s car park site to the State government for $140 million, $100 million of which would go to the redevelopment of Riverside Theatre and $40 million to “delivery of the cultural plan” i.e. the use of the site for the new museum. In other words, despite the fanfare which accompanied Premier Berejiklian’s July 31 announcement of the deal, there was no new money forthcoming from the State under the heads of agreement. Although negotiations towards the heads of agreement were initiated by Property NSW 15 months previously, the business case for the Riverside Theatre work is yet to come, and if the State government deems it unsatisfactory it can ditch the arrangement. According to Administrator Chadwick (tough-minded daughter of former Liberal Cabinet minister Virginia Chadwick), there will be no such wiggle room for the new Council due to be elected by Parramatta residents this Saturday, September 9. They will be presented with a fait accompli. The Council, while under administration, had commissioned modelling by Deloitte on the likely economic impact of building the new Powerhouse in Parramatta. It predicted job increases and economic of possibly as little as $106m – a fraction of the likely cost of moving the museum. The same Deloitte report included in its risk assessment a warning that the design of the new museum “could result in the ‘iconic’ objective set in the Cultural Plan not being met”. Because the Powerhouse is deemed a “State significant” project, local design principles would not obtain. Almost all the “consultation” with Parramatta residents quoted by government as favourable to the project was carried out after the move had been announced. Despite earlier-expressed widespread preference for an art gallery, in the more recent surveys residents were not given a range of options to choose from. While the cultural infrastructure funds allocated in the June budget gave a total of $680 million to three CBD venues – Walsh Bay, the Opera House and the Art Gallery of NSW – only $100 million was allocated to regional NSW over four years, that is, $25 million a year. Secord called this “a cruel hoax”. 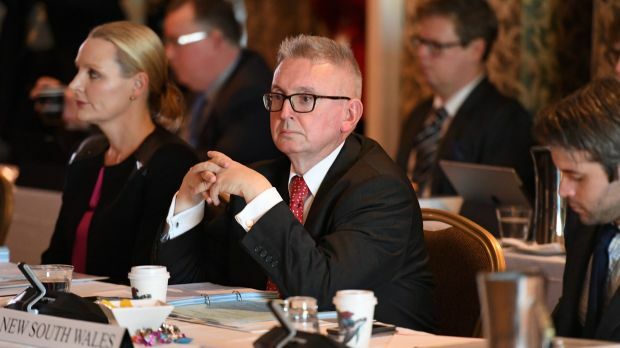 Minister Harwin rejected an offer from former Powerhouse director Dr Lindsay Sharp to show him, under a confidentiality agreement, why the move from Ultimo would cost $1.5 billion. He claimed it would cost much less, under the final business case to go to Cabinet by the end of the year. The final business case will not be made public as it is deemed by Coalition ministers to be a Cabinet-in-confidence document. Pressed by committee chair Borsak to say whether developers would be involved in providing funds for the project, and whether there had already been discussion with developers concerning the fate of the Ultimo site, Harwin dodged it and chose to take the questions on notice. He said the final business case would look “at all options”. It’s not hard, on this evidence, to sum up the Berejiklian Government’s method of arts planning. It is to have a cultural strategy with no cultural criteria, a consultation process with no meaningful consultation, and a business plan with no transparency. The decision to move the Powerhouse was made by Mike Baird and has now been confirmed by Gladys Berejiklian with no consideration for either the specific nature of the museum or the cultural needs of the population. Parramatta, which is rapidly heading to become the largest conurbation in Australia, will be the only major city without a public art gallery. 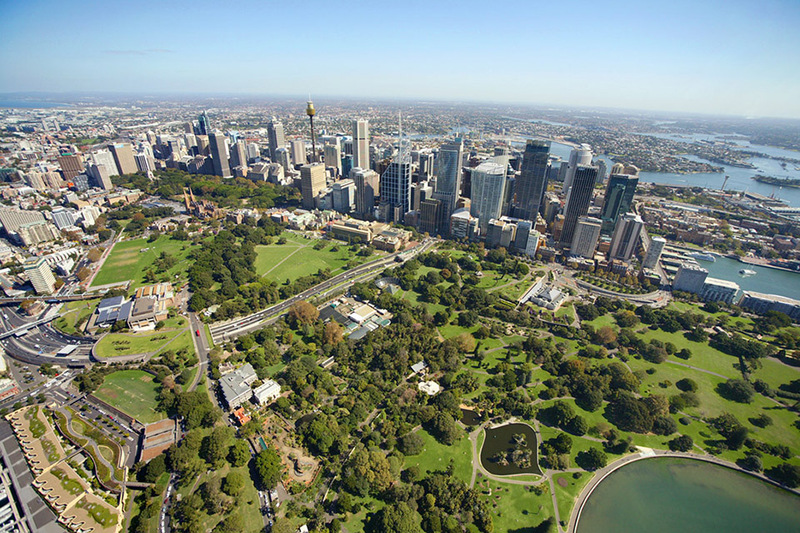 Grace Cochrane of the Powerhouse Museum Alliance points out on its website that the Parramatta Council had developed a cultural plan which recognised the need for an art gallery. With Western Sydney seats likely to hold the balance at the March 2019 State election, the Coalition government appears to have gone for the kind of quick-fix, big-spend announcement (“Move the Powerhouse!”) on which it can all too easily backtrack. Next Monday, September 11, the Upper House inquiry will hold a further hearing. It promises to be more riveting stuff. If there’s many a slip between the cup and the lip in the Powerhouse affair, the same may equally apply to plans at the Art Gallery of NSW, where the government has announced $244 million towards the estimated cost of the grand new Sydney Modern building, but has said not a word about its recurrent operational funding. The critical question – who will finance the new building’s upkeep, staffing, maintenance and ongoing costs into the future – remains unanswered. Glaringly evident among the other options, as art lovers from across Greater Sydney have been pointing out for years, would be a satellite or arts hub at Parramatta that would bring outstanding exhibitions and works from the Art Gallery’s collection to the fastest-growing area of the state. The Coalition government could save itself a ton of grief, and the taxpayers a heap of money, by calling a halt to the Powerhouse move and Sydney Modern and going for the obvious solution. Its “agile and elegant prose”, writes Pugh, tells the story of the dismantling of the systems that underpinned the relationship between the Gallery and its membership body, the Art Gallery Society. The magazine isn’t online until later this year but it’s an issue worth getting, with a profile of Patricia Piccinini by editor Kon Gouriotis, a piece by John McDonald on the crisis in regional galleries, articles on Hilarie Mais, Jun Chen and Khadim Ai, among others, and a moving eulogy to Leonard French by Jan Senbergs. And the initials can stay the same. : Royal Bonsai Gardens.